To improve your customer experience you need to meet and go beyond your customer’s expectations when communicating with them. Companies that deliver a good customer experience see an increase in customer loyalty, which in turn leads to higher sales. It’s because of this reason why customer satisfaction rates for chat as a customer service communication channel are as high as 73% – where email and social media only scored 61% and 48% respectively. We have recently launched our own chat tool, called SuperOffice Chat. SuperOffice Chat can be added to any web page on your website and you control where your customers can initiate a chat session to talk to your team. There are several live chat benefits and live chat has been proven to increase sales, generate new leads and improve customer satisfaction rates. In this article we will share five ways that you can use live chat to provide a better customer experience. When your customers are looking for support, they demand instant answers. 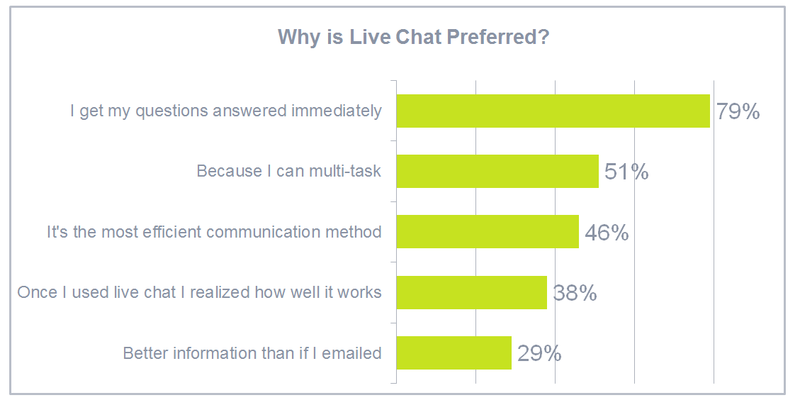 And the main reason why consumers use live chat is because they get their questions answered immediately. Any delays mean you risk losing customers. In fact, slow response times are cited as one of the top 3 reasons why customers leave. By using live chat, you can respond to customers quickly. 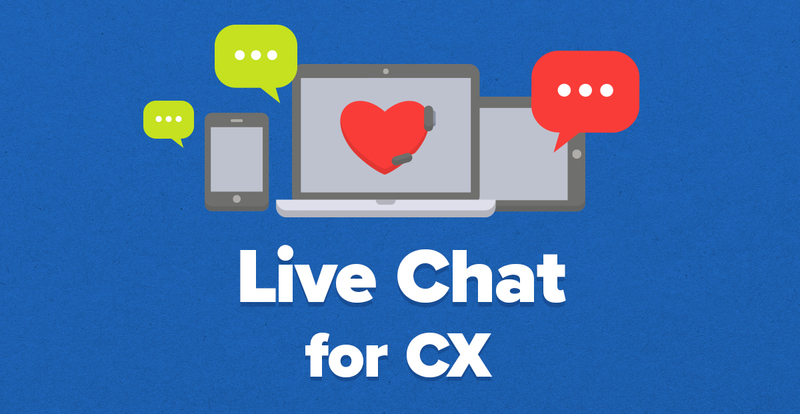 According to our own live chat study, companies that prioritize chat conversations are able to reply to their customers within seconds, rather than minutes or hours (!). A chat agent, a person who responds to chats, is able to handle as many as 6 chat sessions at one time. Therefore, more customers will be getting the answers they are looking for, without having to wait for too long. When you ask your customers to add their contact details before initiating a chat, it will help you personalize the service you provide. You are on a first name basis with the customer from the start, and this information helps you to find the customer’s details in your CRM database. 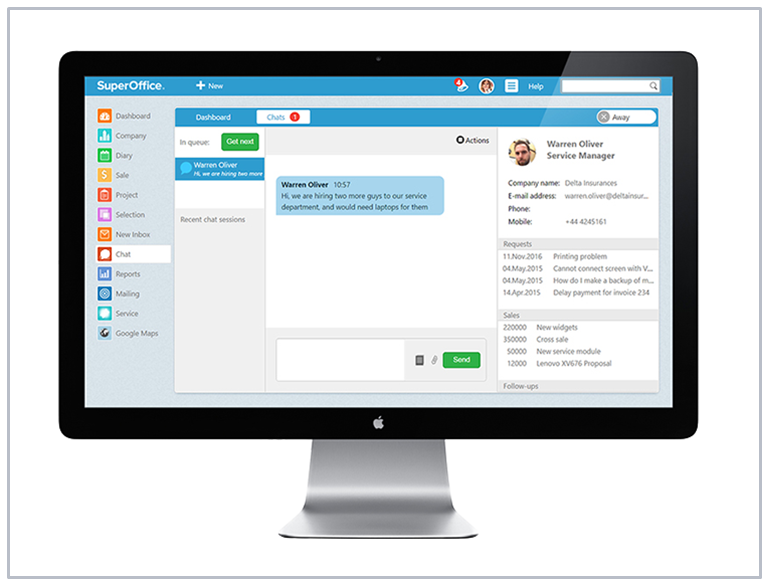 SuperOffice Chat is completely integrated with SuperOffice CRM, which means that you have instant access to all customer profile information such as contact details, order history and any previous correspondence. By having access to this information, you won’t need to ask the customer to give you all of their details each time they use chat – as you have already it! You can also inform the customer about any pending or open requests to provide an even greater service. Your customers will appreciate the update and you can show them you really care about them. Its small details like this which help you deliver a better customer experience. With chat on your website, you can help people to navigate to the right place when they are looking for specific pages or products. Therefore, it makes sense to add chat to the pages that your customers visit the most. For example, you can start by adding chat to your pricing, product, and support pages. Overall, live chat keeps your customers happy and returning – and that means more sales as 44% of consumers say that having a live person answer their questions while in the middle of an online purchase is one of the most important features a website can offer. To improve the customer experience, make sure your chat widget is clearly visible on your website. Use a customized message that will attract attention and make it bold. Make sure you use contrasting colors to your website design to make it stand out – like we have done on our own website (shown below). By making chat visible, people can easily find help when they need it, which will make their browsing experience much more pleasant. For example, almost everyone has experienced landing on a 404 page before. When your chat widget is available on the 404 page, you can help your customers navigate to the information they are looking for. Instead of them leaving your website, they can get the answers they need directly from a chat agent. You can give your customers the option to receive a copy of the chat conversation, which we call the transcript, by email once the chat has finished. 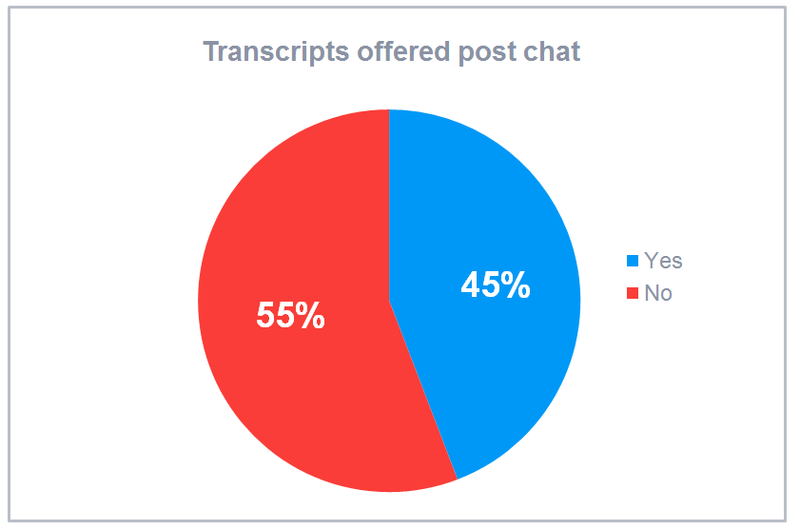 Our own research found that nearly half of all websites that use chat don’t provide a transcript. By giving your customers the option to send the transcript to themselves, they can always revisit the conversation you had with them at any time, instead of having to call up and ask the same question again (and again). Sometimes, customers forget the answers or they don’t have the time to use the answers they received straight away. With the transcript, they know where the information is saved – in their inbox. This way the links and FAQ’s from the chat conversation will not be lost. Live chat is a great addition to any business. With live chat, your customers get the help they need and they get it quickly, and you get to speak directly with the people that consume your product or service. It’s a win-win! By using live chat on your website, you can convert more anonymous visitors into buyers and you can keep your customers happy (and loyal) by improving customer satisfaction rates. This all adds up to providing a superior customer experience. What is your experience with using live chat? And how are you using live chat to provide a better customer experience? If you would like to see how SuperOffice chat works, click here and to talk directly with a live agent. P.S. If you enjoyed reading this post, feel free to share it here! Thanks Erik,very insightful knowledge about live chat. Hi Mary, Thank you for your comment. I'm happy you found it interesting. Hi Erik, this is a great post. I really do think that live chat is a great way to improve the customer experience! Hi Ivana, Thank you for your nice words. I'm glad you liked it. Good article, Erik! Really shows the benefits of using live chat for customer experience. Thanks, Maya! Nice to hear you enjoyed reading the article. Thanks Erik, really the livechat is important for better customer experience. Hi Helena, I appreciate your comment. Nice to hear you like it. Hi, Erik! I never used Live Chat on my blog but I am a fan of them. Thanks for such a good article, and I'll keep your product in mind in case I ever decide to use a live chat. Hey Erik, great piece of content, thanks for sharing! Live chat is incredibly helpful for delivering an exceptional customer service experience, and it has a direct link with boosting the conversion rate of any online store or website. That is why I believe it is very important to use a software that makes it easy for you to personalize interactions, because customers simply love it!